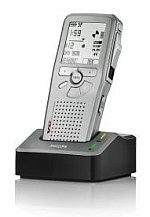 We offer a range of dictation machines for rental or hire. The OLYMPUS dictaphone, the Olympus T2000 Transcriber or Olympus transcription machine offers playback of Micro Cassette tapes recorded on a cassette recorder. 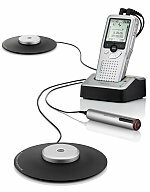 Playback can be controlled by foot pedal & headsets are provided delivering confidentiality of transcription. Click on the images or the title to go straight to the rental booking page for Olympus Dictaphone. To make an inquiry regarding our Olympus dictaphones, transcribers or dictation machines available for rent / hire, please feel free to contact us either by telephone (on 0418 574 767 or in Victoria on (03) 8420 7788), email or by using our Inquiry/Booking Form. We will endeavour to respond to your email or Inquiry Form submission within 24 business hours. As our available products change regularly, it is not possible for us to list all the products we may have for rent or hire on this site. If you cannot find the specific product, model or brand of you are looking to rent / hire here, please feel free to call us (on 0418 574 767 or in Victoria on (03) 8420 7788), email us or use our Inquiry/Booking Form to make an inquiry. We will endeavour to respond to your inquiry within 24 business hours. We also sell Dictation Equipment. Please feel free to call us (on 0418 574 767 or in Victoria on (03) 8420 7788), email us or use our Inquiry Form to make a purchase inquiry. We will endeavour to respond to your inquiry within 24 business hours.